If I’m not writing there is a good chance I will be reading. Of the business books I have read along the way, there are a few which have heavily influenced my approach and my work. Here, I give each of them the credit they deserve in precisely 100 words. There are more books about leadership than atoms in the universe, possibly. So how should we choose? 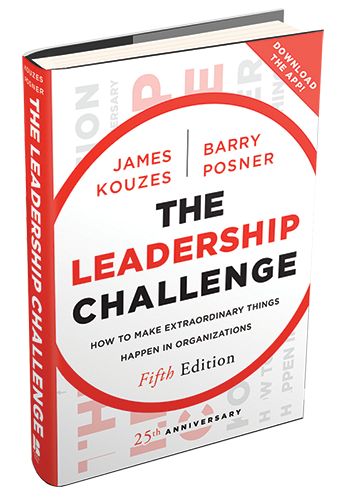 I put my faith in The Leadership Challenge because it is evidence based (millions have completed their Leadership Practices Inventory); because it’s stood the test of time (6 editions have been published since 1987) and because it’s message is relevant to leaders at every level. When I test the book’s assertions in workshops, leaders always come to the same conclusions as Kouzes and Posner. From there, the Leadership Practices provide a great framework to help leadership teams to identify where they must focus. Stephen Covey believed that we seek progress via quick personality fixes when we really need to build character. His Seven Habits provide the stepping stones of character development. 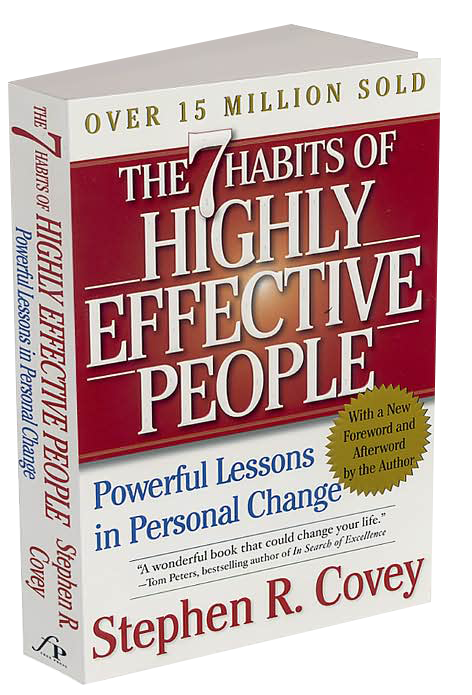 Covey shows us how to move beyond dependence to independence and ultimately to interdependence. Covey’s faith is clear and sometimes the tone is a little evangelical for me, but the wisdom is unarguable. He admitted there are few surprises or revelations in his framework. ‘It’s common sense,’ he said. ‘Unfortunately it’s not common practice’. And in my experience of sharing the habits with teams, they always take something valuable and actionable away. It’s so hard to be heard today, but Jonah Sachs is a man who knows how to get his message across. He is the creative force behind legendary viral campaigns such as The Meatrix. Here Sachs explains how marketers can use the core structure of mythological tales (in which a hero eventually overcomes immense adversity in order to achieve a noble goal) in order to win new advocates. Sachs is keener on Joseph Campbell’s Heroes Journey (too complicated!) than I am, but we both believe that brands must convey an authentic connection to a higher purpose in order to succeed. Type ‘business storytelling’ into Amazon and The Story Factor appears on page three. Today there are hundreds of books, but when it was first published, back in 2001, Annette Simmons was a pioneer. 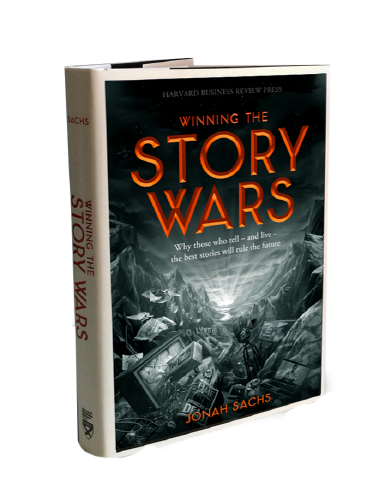 Story Factor has since been acknowledged as one of The 100 Best Business Books of All Time. It’s where my own exploration started. 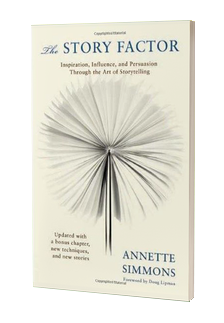 Simmons is sceptical about story formulas, but with more than 20 years’ experience as practitioner and teacher, her simple wisdom shines through. In particular, ‘The Six Stories You Need to Know How to Tell’ provides a great foundation for leaders who want to inspire. Easily my favourite communication book. The Heath brothers painstakingly studied communications that stick (i.e. are remembered, understood and acted upon). They looked at sticky proverbs, urban myths, educational campaigns and more and distilled the source of their stickiness. They found that stickiness comes in six flavours. Sticky communications are Simple, Unexpected, Credible, Concrete, Emotional and include Stories. They wrap it all up in the neat and memorable SUCCESS acronym. 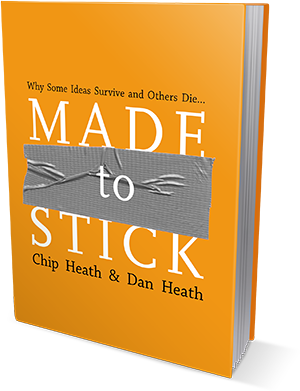 And Chip and Dan practice what they preach: the book is a delight and their examples stick. I draw on their wisdom daily. I often turn to this book when crafting presentations for clients and it is the one I recommend for those wanting to develop their influencing skills. Aristotle’s Art of Rhetoric made me lose consciousness, but Leith makes the subject accessible, relevant and even fun. The section on Ethos, Logos and Pathos is essential stuff and has greatly shaped my influencing style and teaching. 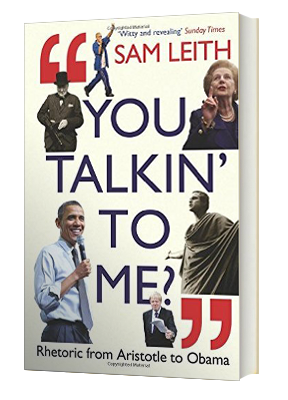 Leith dissects great and effective speeches from the likes of Winston Churchill, Martin Luther King and Barack Obama. There is even room for some classic Homer Simpson but not so much as a word from Donald Trump. When helping leaders to navigate change I introduce them to the Switch framework. I love its simplicity, humanity and memorability. 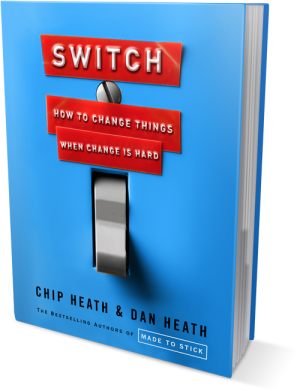 Authors Chip and Dan Heath encourage us to think of any change effort like a rider and an elephant and a destination. They tell us that to change peoples’ behaviour we must first do three things. First we must provide specific and crystal clear guidance to the rider (rational mind). Second, we must motivate the powerful but easily distracted elephant (emotional mind). Finally, we must remove all obstacles from the path ahead to make the change as effortless as possible. 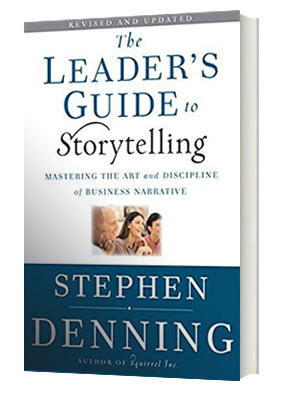 Stephen Denning accidentally stumbled across the power of stories. A World Bank executive, he was ‘side-lined’ by hierarchical changes. When, begrudgingly, he became Program Director of Knowledge Management he initially struggled to show how his new function could help the organisation. Then at the end of a key presentation he told a short story about malaria vaccination. To his surprise this story, not his data, got them listening. This was Denning’s epiphany. Denning admits he is not a gifted storyteller (apparently his wife agrees!). However, his book shows us how we can all influence others by telling simple, true stories. Nancy Duarte created the sensational presentation that Al Gore delivered in Inconvenient Truth. Her company, Duarte Design, is a leader in presentation development and design. Her book is not only the most beautiful in my office, it is also one of the wisest. ‘If a slide contains more than 75 words’, Duarte says, ‘it has become a document’. She also says ‘The audience will either read your slides or listen to you. They will not do both.’ How many times have I said that? 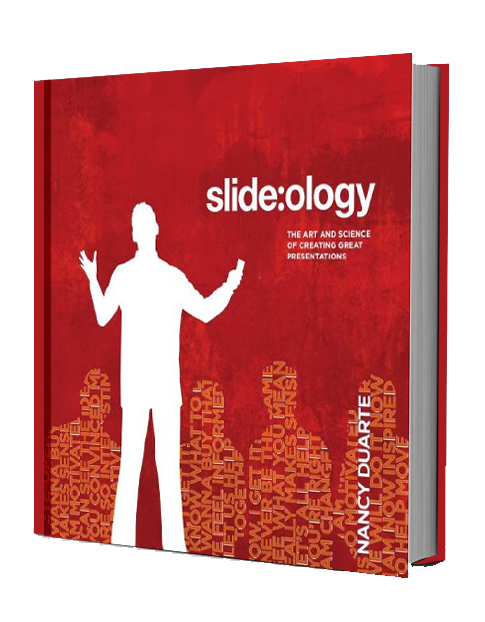 Slide:ology shows us how to put the presenter back at the helm of the presentation, beautifully.